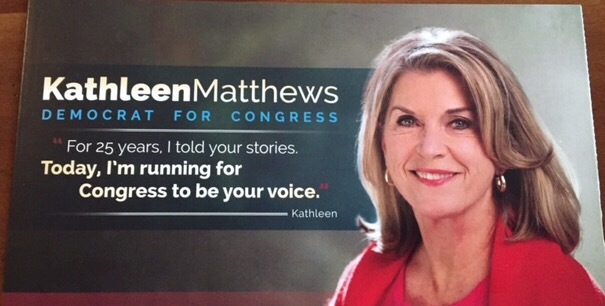 Hot off the presses, ladies and gentlemen! 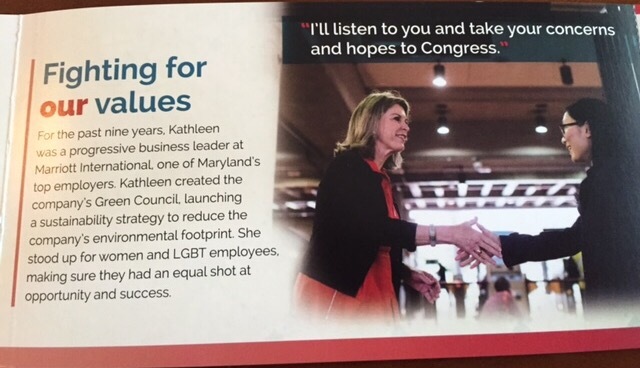 The newest contestant in the “Who Wants To Be A Congressman?” sweepstakes has a walk piece, and today one of my wily agents of deception was able to procure me a copy. 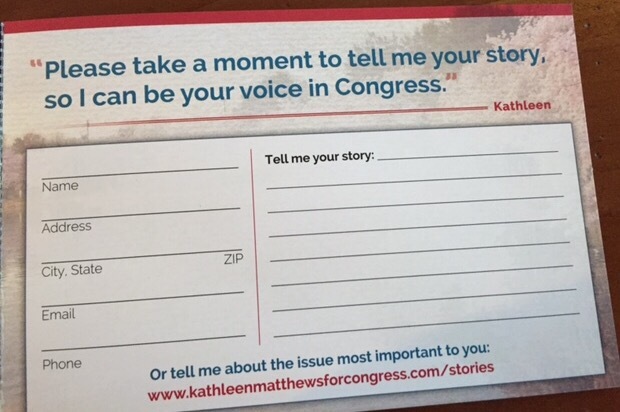 For a guy who just got in the race, it’s a nicely put together piece of campaign literature, although using the exact same words on the front as on the back might not have been the best idea. For your reading pleasure. 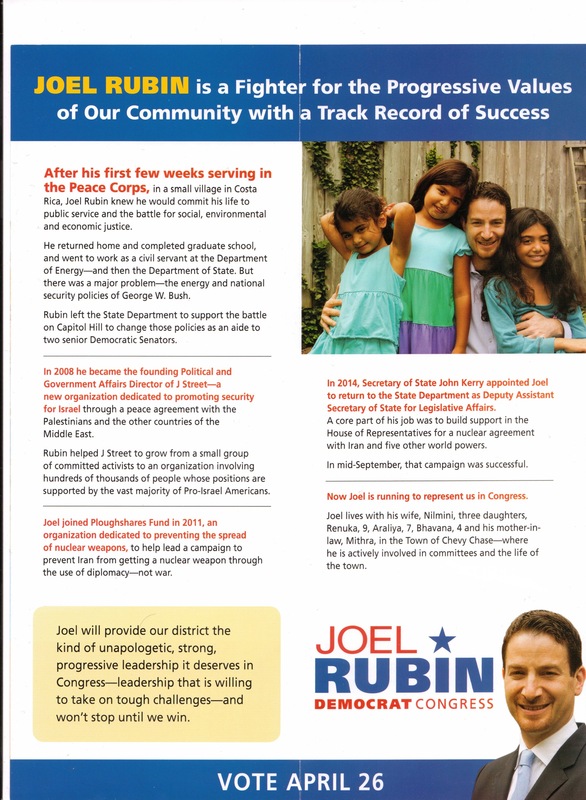 Photos of the new Raskin flier just out this week. This blog has a tradition of delivering important new information for over four whole months now. 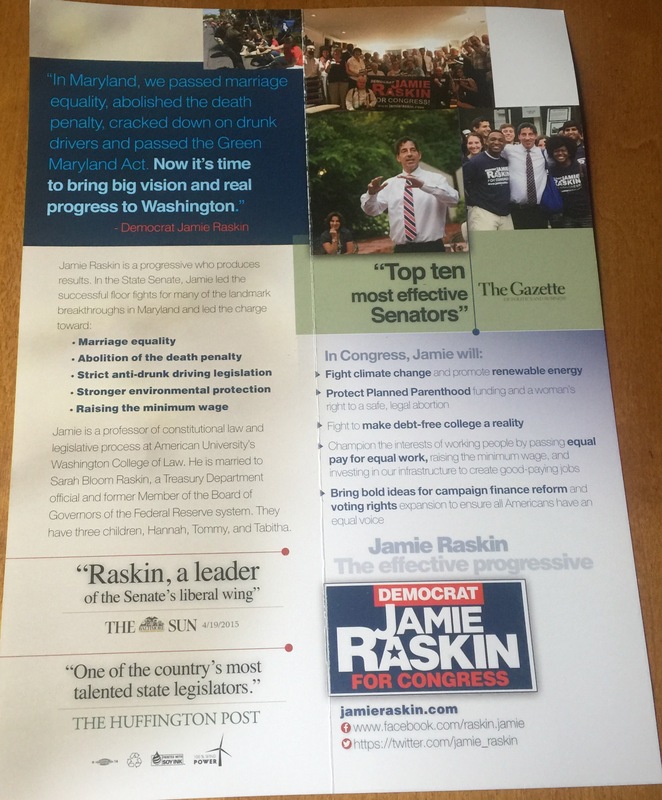 Jamie Raskin has a new lit piece just out in the last day or so. I’d post a picture, but I left it in the car and I’m too lazy to go back out and get it. Plus, it’s just so much fun teasing y’all. Seems to be a strategy that works, so – come back tomorrow morning. I’ll post pictures then. 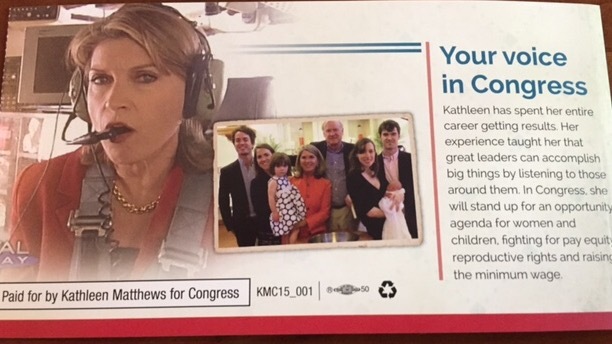 We still don’t have Kathleen Matthews’ fundraising totals, but we do have something fun instead. 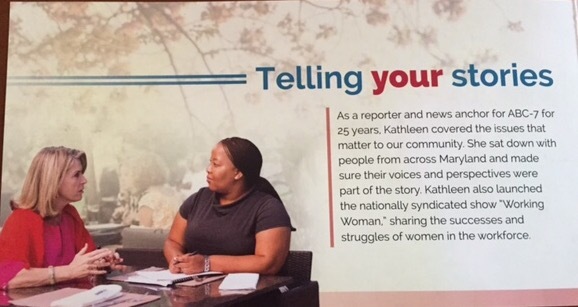 I’ve just today received photos of her first lit piece, and now I’m sharing them with you. Something to do while we wait for those reports. 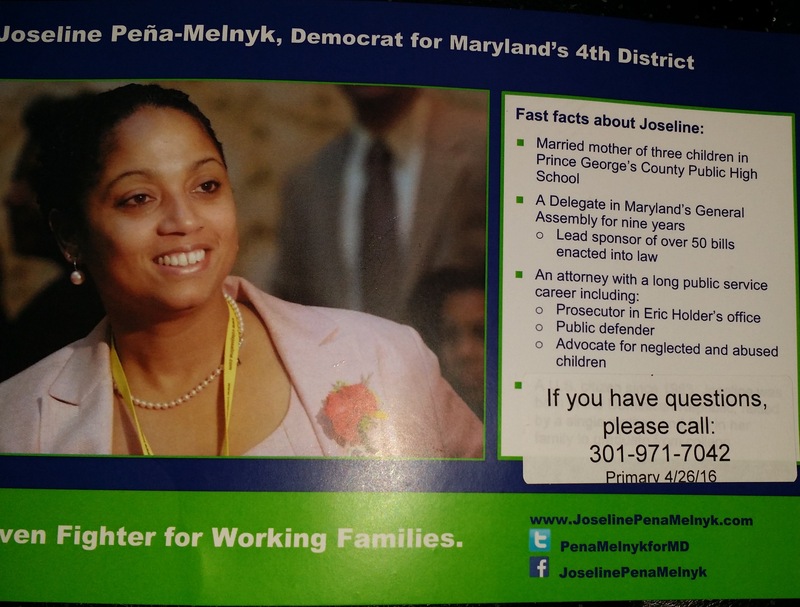 Sources report that Joseline Pena-Melnyk had the strongest presence at the Annapolis July 4 parade. Glenn Ivey had a smaller group, while neither Anthony Brown not Dereck Davis had any apparent presence. 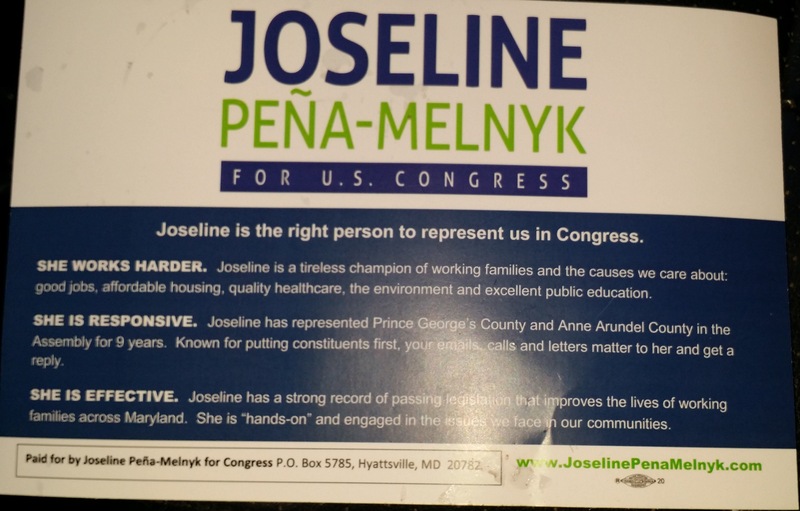 One eagle-eyed reporter sent me the below photos of a lit piece from the Pena-Melnyk campaign, our first sighting of campaign literature yet.